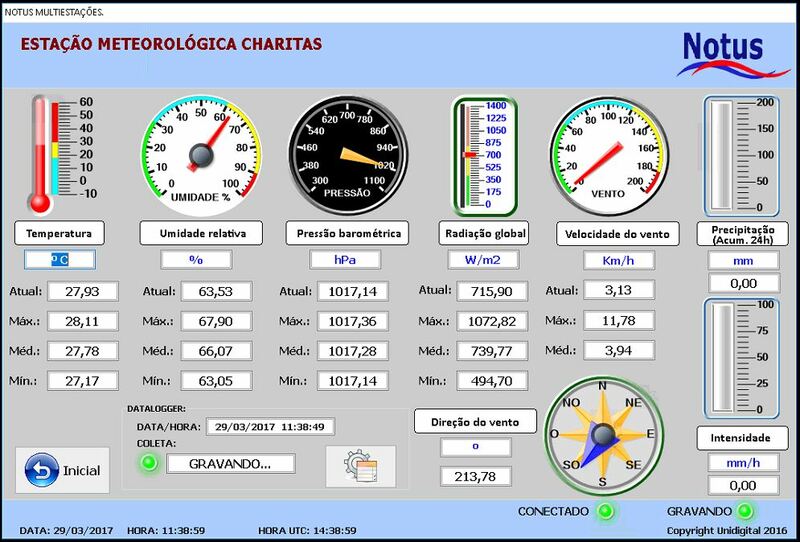 Last March, 29, 2017 the Automatic Weather Stations supplied by Unidigital to the Charitas-Cafuba Tunnel, in Niteroi-RJ, Brazil, became fully operational. The Weather Stations were installed and comissioned by Engie Brasil, a company specialized in such projects. The Charitas-Cafuba Tunnel is a long awaited urban mobility project of the city of Niteroi. The new road work will reduce the traffic time between both neighborhoods to approximately 15 minutes. Built by Consorcio Transoceanica Niteroi, the project was an investment of more than R$ 300 million (~ USD 90 million). The weather stations are part of a great number of equipment aimed to give the tunnel users complete safety conditions, such as air quality monitors, fire alert systems, lighting, fans and surveillance cameras, among others. Equipped with instruments supplied by Lambrecht Meteo, a German company with a long tradition of quality and reliability, the weather stations include pluviometers, barometers, solar radiation sensors (pyranometers), wind direction and speed anemometers, and temperature and air relative humidity sensors. The data from the field are transmitted by means of a fiber optics cable to the Tunnel Control Center, where they can be seen on monitors and registered by the Notus Multistation software, also supplied by Unidigital. The complexity of this project qualifies Unidigital as one of the companies better prepared to meet the stringent requirements of this kind of application in Brazil. The partnership with Lambrecht Meteo was an additional factor of reliability and perfect operation of the whole system.